Wikwemikong Unceded Indian Reserve is a large First Nations community located on the eastern end of Manitoulin Island. 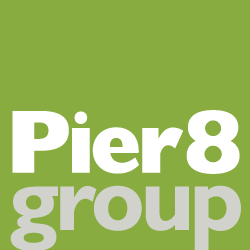 To support local economic development, Pier 8 Group worked with the Band administration and business leaders to develop a marketing plan that is now being used to attract business investment and create jobs. We also developed a Shop Local strategy that encourages Band members to shop at Band-owned businesses and retail stores operated by Band members. Wikwemikong is the fifth largest native reserve in Canada (the tenth largest by population) and the largest community on Manitoulin Island. Wiky boasts its own telecommunications company, FirstTel Communications, and operates the Rainbow Ridge golf club, the only 18-hole, par 72 championship golf course on Manitoulin Island. Other important economic activities include forestry, fish farming and tourism. Currently, the Band is working to attract businesses to a new industrial park that is being developed on the reserve.